All these add-ons can easily be integrated into farmerswife to give you specific additional functions. Whether you are in production, post-production, broadcast, education, content creation, equipment rental or a corporate media department, farmerswife can be adapted to suit your needs. With this add-on, you can create customized budgets and quotes, keeping a real-time check on costs, instantly updating budgets, and generating reports and analyses. 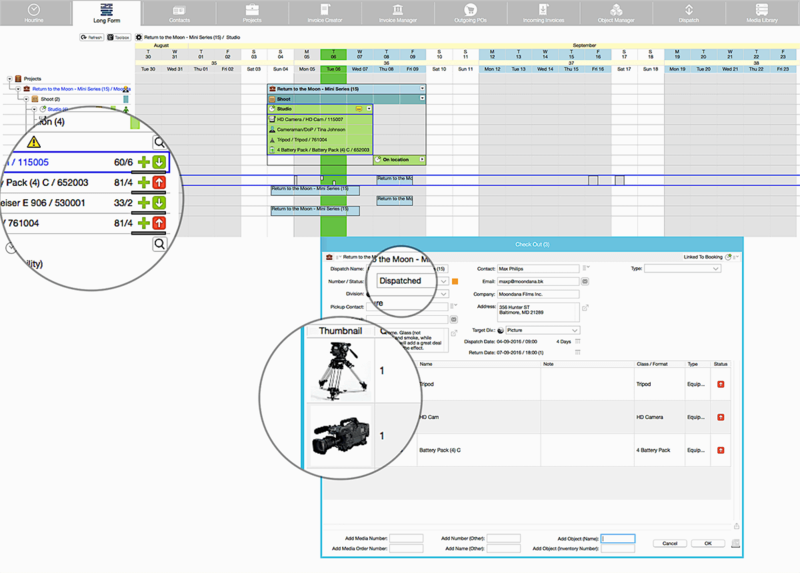 An effective project cost and budget management tool! Read more. 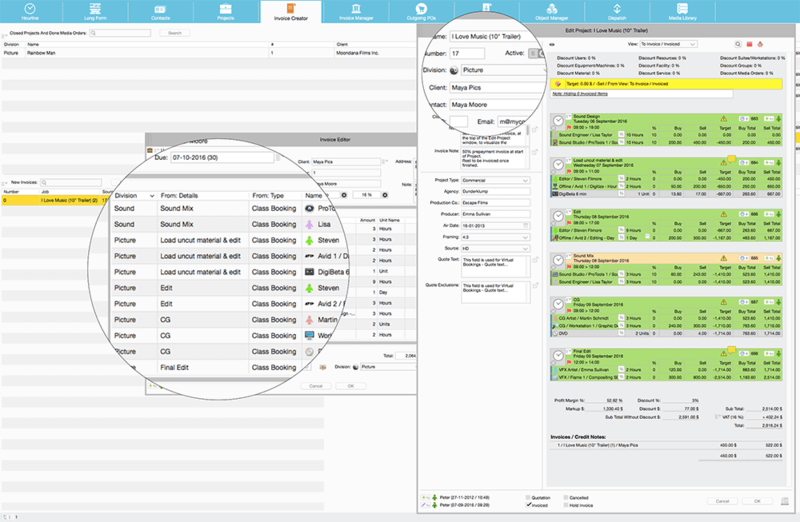 An optional extra for organizations like rental firms, production or broadcasting companies and universities that need to keep a close eye on all their equipment. Equipment can be checked in and out by barcode scanning, tracked if it is being repaired or is lost, and also have its history traced. For businesses that have a large number of assets such as computers, AV equipment, tools, cars etc we have created the farmerswife Kiosk. The farmerswife Kiosk is an equipment checkout module that empowers you to decrease equipment loss by instantly logging essential equipment transaction data in one central location. With the Media Library, digital or other media can be catalogued by saving metadata and uploading files through standard or custom fields. The Media Order function is commonly used for dub orders or other media-related tasks assigned to either one or multiple team members. 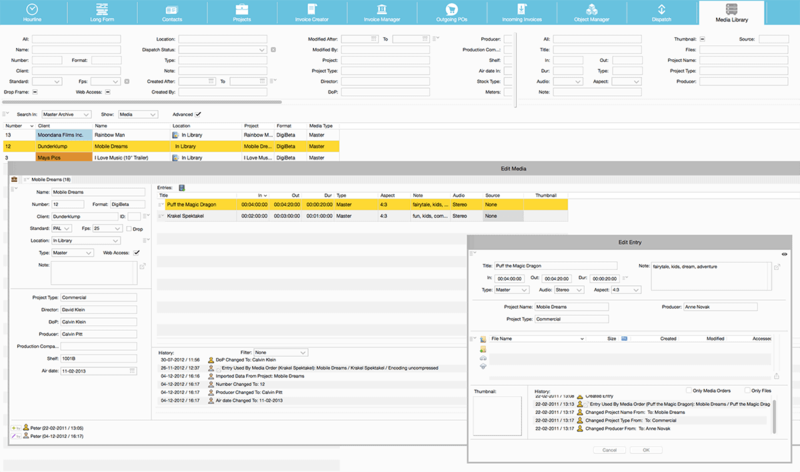 The Dispatch function tracks incoming and outgoing physical assets. 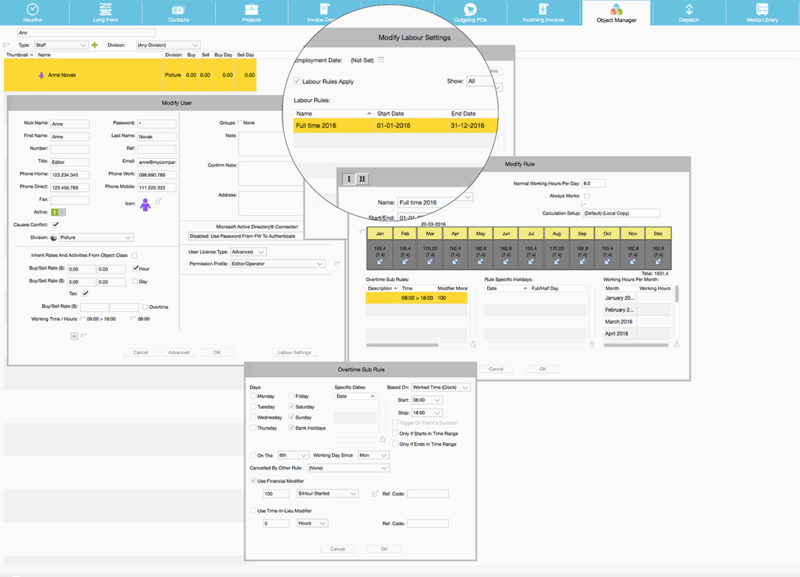 Orders, costs and stock utilization can be tracked, dynamic cost analyses produced, and reports (including duplication orders) viewed and printed. Read more. By assigning labour rules to staff (established in collective bargaining agreements or individual labour contracts), you can calculate types of remuneration or compensation (wages, overtime, vacation days, days-in- lieu) and monitor agreed holiday time, absences, owed sabbaticals, training, minimum booking times etc. Read more. An add-on for companies with different business divisions wishing to pool their resources but keep the invoicing separate. It simplifies the process by creating one project and assigning resources from different divisions to it. 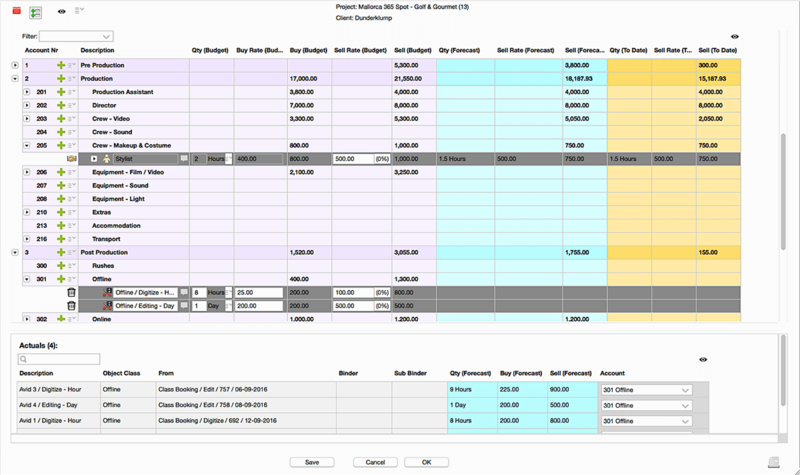 A choice can be made to issue one client invoice, with the divisions invoicing each other internally, or else to issue separate client invoices for each division involved in the project. Want to know more about our Add-ons?